Science fiction and fantasy share a history of being able to probe existential questions because of the distance afforded by their displaced representations of reality. Their worlds are slightly skewed from our own, allowing for greater allegorical play and deeper investigation into the assumptions of our society. From Star Trek‘s notoriously unsubtle metaphors for racism and geopolitics to Buffy‘s high school is hell framing, telefantasy (a broad term for the science fiction, fantasy, and horror genres) provides room for questioning what the world means and –occasionally–what it means to be human. [Note: from here on there will be spoilers (Fringe and Supernatural season 6 especially) as I trying to analyze what I see as a recent trend.] Recently, it’s been the last issue that has captured the cultural imaginary in telefantasy: Fringe is using alternate universes to delve into what makes a person unique (or not), Supernatural has spent the first half of its sixth season interrogating the assumed necessity of a soul, and a few years ago, Dollhouse and Terminator: The Sarah Connor Chronicles both blurred the lines between programable machines and humans. This trend is perhaps part of a larger cultural shift as we spend more and more of our time interfacing with and expressing ourselves through technology and is certainly worthy of a larger and deeper investigation. Though I can’t discuss fractured or multiple subjectivities without invoking postmodernism, for now, I want to lay the groundwork for future attention by examining one element of the inquiry into what it means to be human: characters who articulate their sense of human self through fractured subjectivities, including Fringe‘s Walter Bishop, Supernatural‘s Sam Winchester, Dollhouse‘s Echo, and T:SCC‘s Cameron. In this, I am relying on the characters and the various ways they say “I’m me” as the basis for their human self. I’m not launching my own existential investigation into what it means to be human (yet). 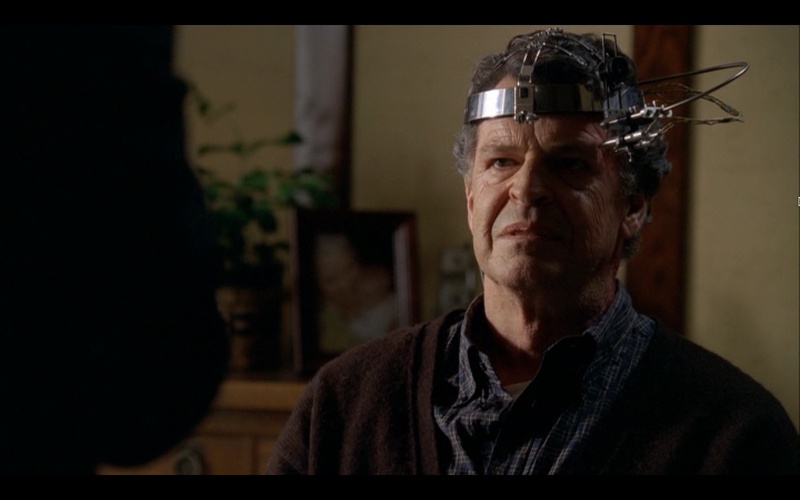 Fringe’s season 2 episode, “Grey Matters,” reveals that part of what drove Walter Bishop mad enough to be committed for 12 years was a three-pronged lobotomy to remove the memories of how he crossed universes. Throughout the series, Walter has been a fan favorite, a character formed from the mercurial mix of childlike glee and wonder, astounding genius, and tragic melancholy. He is a man who struggles to locate himself after losing his mind, but it is in “Grey Matters” that we find that metaphor to be literal. However sympathetic Walter’s character is, the narrative includes the understanding that he was once the kind of man willing to dangerously experiment on children. Until “Grey Matters” and later episodes that included Walter’s alternate universe self, we don’t see that man, only know of him. Then Walter is reunited with the three tissue samples taken from his brain, and the arrogance and antipathy toward other humans are suddenly undeniably present. For a moment, he could be a villainous mad scientist instead of a doddering one. After the parts of his brain die and lose their connection, Walter is our Walter again–a point buttressed when the alternate-reality Walter enters the narrative, characterized so closely to that glimpse of the villain–and somehow more human for the absence of certain parts of his mind. As if their absence provides room for his soul. Soulless Sam forces the question of which self is more legitimate: a soul, no matter how warped or broken, or the body, memories, and activities that encompass the practicalities of living. Of course, the key element in this debate on the show is those few personal relationships Sam has forged and kept in his lifetime, relationships which I have previously argued for their centrality to Supernatural. 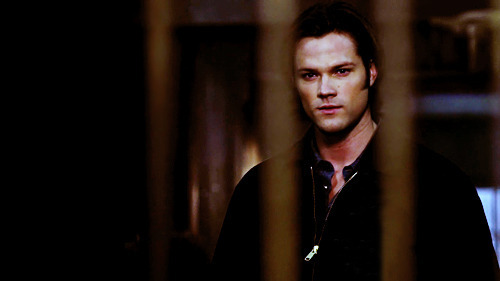 By the mid-season cliffhanger, “Appointment in Samarra,” it has become clear that the soul is necessary for meaningful human connection, for it is Sam’s decision to kill his surrogate father Bobby that makes Soulless Sam no longer acceptable–both within the narrative and for the viewers. Despite this ultimate decision in the debate, it’s important to note that Soulless Sam was a viable character for almost half the season and one that garnered both fan and critical approval. The fractured subjectivity of Soulless Sam–material Sam topside and Sam’s soul still stuck in Hell–was compelling and challenging, and has found some duration in the implementation of a psychic “wall” created by Death between Sam’s self and his memories of his soul’s time in Hell. Though few people watched Dollhouse–or perhaps because of the reckless capacity gained from imminent cancellation–it became one of the strongest investigations into what it means to be human on recent television. In the show, Caroline agrees to give over five years of her life to the Dollhouse, a high-end corporate entity that creates temporary identities that are imprinted on “actives” to fulfill the wish-scenarios of their wealthy clients. It’s indentured servitude, human trafficking, prostitution, and identity theft all rolled into one, but by the second season, one active has become self-aware, maintaining all the memories of her imprints and a gestalt self with and beyond them: Echo. To create actives, the brain becomes analogous to a computer system; thus, Echo becomes a metaphor for the singularity, a self-aware computer program. By the series finale, Echo fully occupies the body that once belonged to Caroline and Caroline is an imprint in the body of a little girl. What was once–or could have been again–a united subject, Caroline and Echo in one, becomes a point of existential crisis. Echo must decide if she is strong enough to not be lost should her original self become incorporated. In the end, she chooses her composite self, Echo, over Caroline, refusing what would traditionally thought of as her true self in favor of her fractured and experiential self. In that episode, Cameron glitches and loses all of her memory and identity as a terminator. She is drawn to certain places and experiences memories of her human identity–before she became a terminator, an element of the mythos of the Terminator franchise that would take center stage in Terminator: Salvation–implying that there is always some element of humanity and the human self or soul that cannot be erased. Some form of essence remains despite the imposition of technology and programming. Humanity will out for both Cameron and Echo. As I wrote earlier, it’s impossible to discuss fractured subjectivities without discussion postmodern theory. One of its tenets is challenging the idea of a unitary identity, instead turning to the ways the self is articulated in multiple ways. Multiple subjectivities undermine the meta-narrative of a pure self, and to an extent, that is what these telefantasy programs are doing. They privilege the fractured self over the idea of the self before it was broken. Walter is a better human being for losing some of his grey matter, and Sam’s humanity can only survive through forced compartmentalization. Cameron and Echo both find humanity through but ultimately in opposition to memory of their past traditionally human and whole selves. The concept of the self and humanity is constantly being negotiated. I have never seen Moonstruck, but because of its pop-culture ubiquity, I know the few-second clip of Cher’s famous “Snap out of it!” slap. Without knowing its context, I still understand it as an aggressive act in favor of reality, and it is this scene I most often think of when trying to explain why I find pleasure watching The Millionaire Matchmaker and Tabatha’s Salon Takeover. Both programs share a core of bubble-bursting sometimes hidden under troubling gender and sexuality conventions and/or the trappings of the self-adjacent (love, business, etc. as a way of becoming a more whole individual) improvement reality genre. The idea that these two women and the shows they carry act as heralds of reality within a reality show, of course, troubles the idea of a reality removed from artifice, but the reality that these women preach ties into the percieved reality of the audience. That is, Patti and Tabatha derive their power and induce viewer pleasure by engaging the unheard voice of the audience. They often say what I and the friends with whom I watch these shows are thinking or have articulated among ourselves. The reality aggressively wielded by Patti and Tabatha calls for their self-deluded clients to “snap out of it!” and thus be better able to interact with their fellow human beings. The Millionaire Matchmaker: “Truly successful people have to be somewhat delusional”? In its first episode of 2011, The Millionaire Matchmaker featured a “millionairess”–as Patti calls them–Robin, who provided the above quote. Patti accused her of being delusional for believing that her behavior on her date: including getting visibly drunk, physically groping her date, and implying that she would buy him an expensive motorcycle in exchange for his continuing to date her. While watching the date, I was shocked, not only by her behavior–she blatantly broke a number of Patti’s rules and guidelines–but also by the obviousness of her date’s gold-digging tendencies. He repeatedly told the camera that he was not attracted to Robin but would continue seeing her because of her money. Moreover, his reactions to her advances–and her physical body itself (she was plus-sized)–verged on disgusted. Robin chose him for his looks alone, and he followed her for her money alone, with both laying bare their superficial conceptions of each other to an unexpected degree. Yet Robin, who as the client was given more follow-up camera time, seemed totally oblivious to her own shallowness, maintaining that her date was an excellent step on the path to finding love. This is where Patti began yelling. After spending a great deal of time before Robin’s date coaching her on what she should seek in a partner and how to behave to find that person, Patti sees her words fall on self-styled deaf ears and proclaims that she has nothing else to do with Robin. This is a typical narrative for Patti’s interactions with her clients this year and illustrates how I can derive pleasure from such shrillness and schadenfreude. While Robin’s crimes are mostly against propriety and expectations–perhaps in that she is the most self-aware of the delusional clientele Patti has found in New York–Patti’s most notorious clients, the ones that I derived the most pleasure from witnessing their breakdowns or comeuppance, have been those that think they are great human beings but their interviews, interactions with Patti and her staff, and most clearly in their dates prove them to be completely deluded in this idea of themselves. Clients have: run away screaming from a man 5-10 years older than she, called or insinuated that their dates were low-class, and even brought their fiends or assistants on dates with them. Most often they are rude, inconsiderate, and condescending, and to see Patti verbally eviscerate them for their behavior provides pleasure. We had to sit through their abominable behavior and have encountered people similarly removed from the minimal consideration of others, so when Patti tells them exactly what they did wrong and how horrible they are to others, it’s cathartic. Although the “reality” that Patti’s tirades reinforce is only what is presented through the editing and chosen narrative for each episode, there is only so much “editing” can create, emphasizing some form of reality amidst the artifice. Where Patti’s verbal smacks to her deluded clients are loud and occasionally mean-spirited, Tabatha almost always keeps a cool demeanor and an acerbic approach to the salons she’s been contracted to help. Her criticisms are authoratative because of her personal success as both a hairstylist and a salon owner and manager (an authority that is always present but never provided with evidence) and give her aggressive characteristics legitimacy. (This is unlike Patti who consistently draws fire from [anti-]fans and clients for being unsuccessful in love herself.) Tabatha’s show premiered years after The Millionaire Matchmaker, but they seem two sides to the same coin. Tabatha constantly battles with her “clients” to get them to see their own strengths and–more importantly–weaknesses in hairstyling and management just as Patti does for her clients in the field of love, but Tabatha’s attempts involve a whole microeconomic system in the salon. To take Tabatha’s advice to heart impacts the livelihoods of multiple people, so the pleasure derived from seeing her pop the delusional bubbles of those in the salons add an element of social uplift to the shadenfreude. For both to occur, though, reality must be forced onto those who choose not to recognize the reality of their effect on the world. They must see how the way they treat others negatively impacts their love lives or business prospects; it’s a painful but necessary realization for those who can see it. But from the viewer’s perspective, it’s a necessary slap to the head.